Part of the modern tradition of Christmas is television, and the festive Doctor Who special is one of the most anticipated. What’s needed, alongside a round of turkey sandwiches, is an hour of family-friendly Christmas mayhem, complete with festive monsters and lashings of fake snow. Twice Upon a Time didn’t quite hit the spot. There were some saving graces. David Bradley’s portrayal of the irascible first doctor, William Hartnell, injected some much-needed humour into the often dull proceedings. The running gag of his 1960-esque non-PC humour provided a much-needed respite – although, it should be noted, the first Doctor was not as sexist as Moffat makes out. Mark Gatiss’s known love for the show shines through in his portrayal of a First World War army captain, making him one of the best parts of the episode. The fundamental problem that plagued Twice Upon a Time was that it felt less like an episode, and more like a makeweight, designed purely to get from Point A (the careworn Peter Capaldi as Twelve) to Point B (Jodie Whittaker as the controversial Thirteen). Compounding this problem is its lack of a monster, a villain, or some Christmassy combination of the two. Christmas past offered the robot Santas with fire-blowing brass instruments and menacing dream crabs; Christmas present’s antagonists were nowhere to be seen. As Peter Capaldi’s Doctor was at a loss when Testimony were not the authors of a sinister plot (spoilers), so too did Stephen Moffat’s over-stuffed script seem to flounder. The tension that had built over the first half was completely let down when the supposed villains of the episode were revealed to be not so. The Christmas set-piece of this year was a lovingly recreated historical scene, but failed to deliver on the show’s traditional high-camp festive feeling. With the return of Bill, Nardole, and a fleeting scene with Clara Oswold, we are re-introduced to companions past. Twice Upon A Time fails to fully explore the issue of whether the glass construct of Bill Potts is truly Bill, a theme which was much more fully realised in earlier Flesh episodes. Recreations of other companions were also thrown into the mix, alongside the arbitrary Dalek, for seemingly no reason, like over-wrapped Christmas presents. 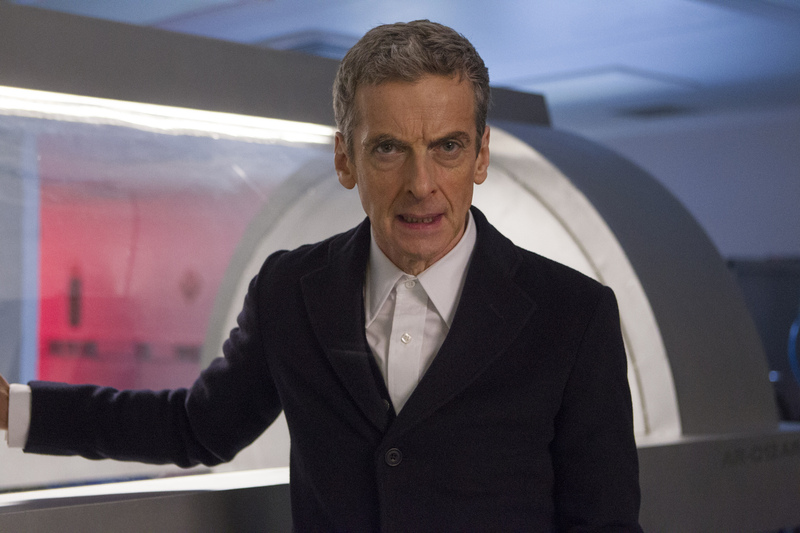 Indulgence was writ large in Capaldi’s final speech. Gone are the emotive ‘I don’t want to go’s, leaving in their stead over-written, over-extended goodbyes where any poignancy of Capaldi’s last hurrah had ebbed away by the third or fourth clarification of how Whittaker should behave. Whilst she only had screen time for thirty seconds, Whittaker’s Thirteen promises to reinvigorate the show. Being the first female Doctor, hopes are high, and, with Broadchurch alum Chris Chibnall taking the reins from Moffat, it will be interesting to see the direction that Doctor Who moves in. Previous articleDry January. Is it worth it?